For several months of each year Keikagile (Kee-ka-HEE-lay) has elephants in her backyard. Entire herds of elephants. Lions, zebras, crocodiles, hippos, hyenas, and other wild denizens of Africa surround her home. But it’s the elephants she most fears, for they can destroy her entire farm in just one night. Keikagile lives in the Okavango Delta of northern Botswana, in an area of roughly 3,500 square miles (9,000 km2) where 15,000 elephants roam freely and 15,000 people plant fields, herd livestock, and walk to and from school. Between April and June, elephants move southward from drying pans near Namibia to the permanent waters found in the Delta. And as they follow their ancient migration routes, the herds often stop to forage in the fields planted closest to those paths. When seasonal rains return in November, the elephants return north along the same routes. Keikagile’s crops are mostly pearl millet, maize (corn) and Bambara ground nuts. 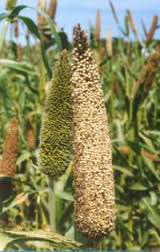 Pearl millet has been grown in Africa since prehistoric times. It has a slightly nutty taste, can be cooked like brown rice and ground into flour for flatbreads. It’s high in antioxidants and magnesium. Dried ground maize can be cooked into porridge or a dish called bogobe, made by putting sorghum, maize or millet flour into boiling water, stirring the mixture into a soft paste, and then cooking it slowly. Sometimes the sorghum or maize is fermented, and milk and sugar added. Bambara ground nuts ripen, like peanuts, below ground. They are high in protein (an important food source for people who cannot afford animal protein) and can be eaten roasted, salted or boiled, similar to beans. Most importantly, the plant improves the soil with nitrogen fixation. Pearl millet grows well in soils with high salinity and is a highly drought-tolerant crop. The Bambara ground nut grows best in sandy soils and is resistant to high temperatures. Maize, the most difficult to grow in a semi-arid climate, is preferred by farmers. The three plants can be grown together, mixed into the same space, in a practice called intercropping, which maximizes space and creates biodiversity. 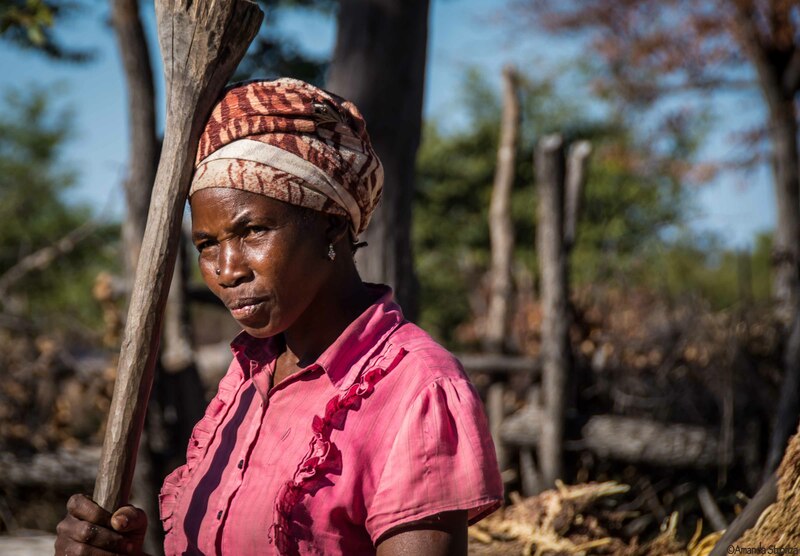 As a subsistence farmer and a single mother, Keikagile feeds and provides for her three children. In the past, the yields from her fields were barely enough to support her family. And the threat of catastrophic damage to her livelihood by elephants is an annual worry for her. EcoExist (Ecoexist) hopes to change that. 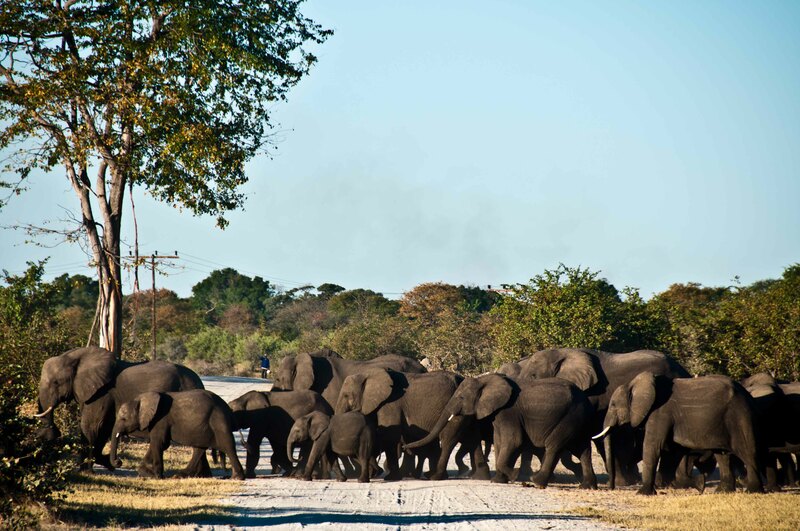 Partnering with local farmers, EcoExist (EcoExist Facebook)is a five-year program aimed at reducing human/elephant conflicts in the Okavango Delta. Read about the dual efforts of Keikagile and EcoExist in Part Two, The Elephant in Her Backyard. I have heard that one means of deterring elephants from farmlands by natural means is to plant chilli bushes along the perimeter, exploiting their highly sensitive olfactory system. Yes, chilli does work, as well as bees. Stay tuned for Part Two, and thanks for reading and sharing! Thank you for writing about these beautiful animals. They truly are worthy of such admiration and documentation considering the plight they face at the hand of poachers. Thank you for caring. Please pass along your concerns to all around you.